Obesity crisis looming in Briton. Another report on the news and papers about obesity and its effects has just been aired. People do see and read about this, they also hear about it continually but they choose to ignore it. I cannot understand anyone for what ever reason why they ignore the warnings about their own health and how it will effect their family. From the age of six or seven people are obese, stuffing their faces with all the bad things that make you obese. When they are told they are ill and have to loose four to six stone, they will probably say i have tried and i can’t do it. No you have not you moron, if you did you would not be as fat. 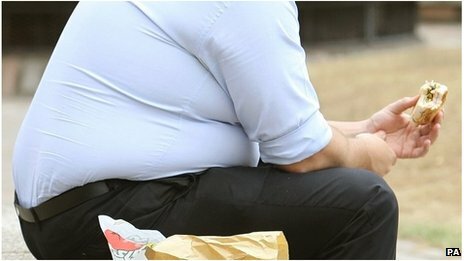 A survey published in 2012 found that just over a quarter of all adults (26%) in England are obese. 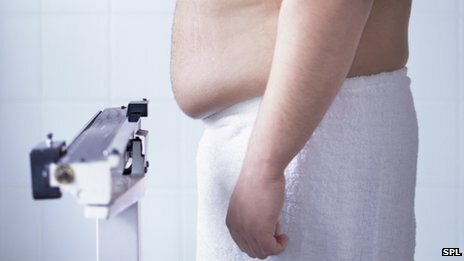 A further 41% of men and 33% of women are classed as overweight. Chairman Prof David Haslam said the crisis could get even worse than the “doomsday scenario” already set out. The forum called for GPs to protectively discuss weight management with patients, and routinely measure children’s height and weight and adults’ waist size, it added. This entry was posted in All about people, miscellaneous and tagged fat adults, fat kids, fat people, obese, obese adults, obese children, obese kids, Obesity, Obesity in UK. Bookmark the permalink. I think the main problems are the numerous fast food outlets where it’s so easy and cheap to fill up with over sugared and over salted junk food, plus, the Supermarkets with their 2 for 1 and 3 for 2 deals, people then need to eat more (and get more waist) or eat sensible portions and waste more. Your right to much junk rubbish food, i can say i have never had a fast food burger or anything else, i see them for what they are pity other people did not. Everything you mentioned are there to make us eat more and get fat. That’s correct Jim, pity the fat people didn’t think the same. Thanks very much for your comment, please call again.